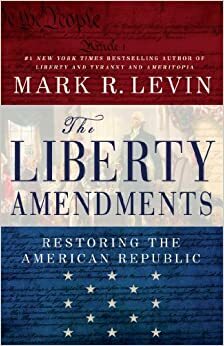 The Liberty Amendments is the first book by Mark Levin recommended on this site. It is not that his other works are not worthy reading, they are. Levin, probably one of the most provocative true scholars of the conservative movement, is always insightful. This book takes that insight to another level, offering real solutions to the crisis facing American. Make no mistake, the crisis is real and the problems seemingly insurmountable. This where The Liberty Amendments comes in, it offers a real path forward short of revolution to set the country straight. The book lays down the reasons why a state sponsored amendments could be the way forward to saving the country from the cliff liberals seem intent on shoving it off. For those that care about the United States and are desperate to find a way to set it straight this is the book for you.